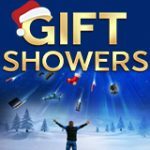 The 888poker Gift Showers promotion returns this festive season with a series of free tournaments which offer over $700k in cash and prizes. 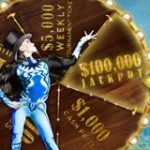 There are three daily Lucky Star Tournaments each with a $2,000 prize pool and a daily All-in Gift Tournament with an iPhone 6, PlayStation 4, Go Pro Camera & much more to be won. There is also a weekly Starburst Tournament with prizes like Mac Book Airs, Apple TVs and huge cash rewards. 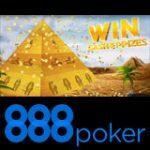 Get free tournament tickets by signing up to 888poker, no deposit is required to claim and you'll get up to $88 in poker bonuses as well. Signup between now and the 4th January, 2016 and get free tournament tickets to the All-in Gift Tournament and Lucky Star Tournament. 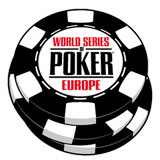 New players are also eligible for a free sign up bonus up to $88, no deposit poker bonus. 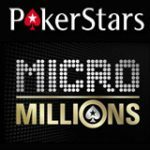 Making a first deposit of at least $10 will get you an extra four tournament tickets for the 888poker Gift Showers promotion. Depositors will get a daily free spin on the 888poker Star Spin game where you'll win more tournament tickets. 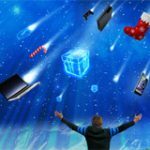 All-in Gift Tournament daily at 18:05 GMT win an iPhone 6 , PlayStation 4, Go Pro Camera plus more prizes everyday. $2,000 Lucky Star Tournament three times daily ( 12:05 19:05 and 00:05 GMT) play for $6,000 in cash prizes everyday. $6,500 Starburst Tournament every Sundays at 21:05 GMT surprises every week win a Mac Book Air, Apple TV & cash prizes. Win extra tournament tickets for the 888poker Gift Showers promotion by completing the daily 888poker missions, players will receive special mission via emails after signing up to 888poker. Play at least thirty raked poker hands on the cash game tables. 888 Poker App - play a tournament with a buy-in of $6 or more. 888 Poker App - play fifteen raked poker hands on the cash game tables. 888 Casino games wager $30 at the online casino from the 888poker lobby. 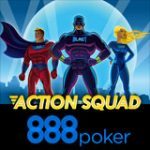 888 Sport - place bets of at least $5 on a sportsbet placed from the 888poker lobby. 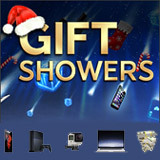 For more information on the Gift Showers promotion on 888 poker click here.